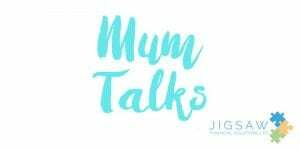 Jigsaw Financial Solutions in partnership with Mum Talks will give participants the knowledge, skills and understanding to grow or start their own business. It will be held in House, Lesson Street on Wednesday 20th March. If you have a dream of starting a business or are already in one and want to improve your chance of success, this is the masterclass for you. Starting a business can be daunting as well as extremely exciting. We want your business to have every chance of success and we believe this essential information is crucial for all entrepreneurs growing or thinking of starting a business. The Business Masterclass will be delivered by experienced professionals with many years’ experience in working with small businesses. Elaine’s specialties are strategy development and implementation, driving growth in scaling businesses, supporting teams to work collaboratively to deliver beyond expectations along with creating a supported path for professionals returning to work. Elaine’s focus is encouraging and supporting her clients to make the right choice, at the right time for the right reason. She has over 20 years’ commercial and leadership experience, training as a Chartered Accountant and working in the financial services and telecoms sectors. Her last corporate role was CEO of Tesco Mobile, Ireland where she led a great team to scale the business and build the brand to be Ireland’s most recommended network. To support a better life balance and to follow her passion of inspiring herself and others to be their best selves, she left the corporate world and retrained as a leadership coach. Over the past three years Elaine has she set up Omega Consulting, to deliver growth and change programs to businesses, and launched Women Returners in Ireland. Women Returners is a social business supporting professionals to return to work after an extended career break. Jigsaw Financial Solutions Ltd was set up in August 2011 by Lorraine Cooke following the birth of her second child. Lorraine wanted to set up a company that was a one-stop shop for individuals & business to look after & manage their tax & financial needs. The objective is to simplify a process that can be intimidating and speak in a simple, non-jargon language at all times! Jigsaw Financial Solutions provides specialist advice on personal & business taxes along with accounts & payroll services. Additionally, Jigsaw provides advice on life insurance, specified illness, income protection, pensions, savings, investments, mortgages & general insurance. Lorraine is a Qualified Tax, Pension & Financial Advisor with over 20 years’ experience in the industry.